I'M not working today so ducked into a favourite op shop and picked up a handful of new treasures for my kitchen. 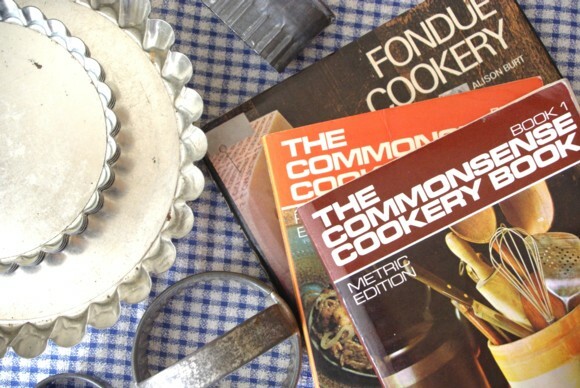 The Commonsense Cookery Book 1 and 2 are additions to a collection I have from the 1930s, 50s and now 70s. The flan pans were $3 the lot and say "Made in France" on the base. Oh la la. The biscuit cutters will come in handy for making shortbread. We've had the one size cutter for years. Now there's three more to add to the collection. The fondue cookbook is headed to stepdaughter No.2. She bought a fondue set a few months back and I've been scouring for a cookbook to match. 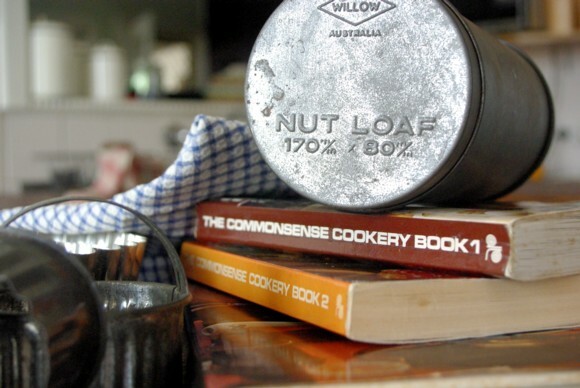 And an Aussie-made Willow nut load tin. I've been looking for one of these. 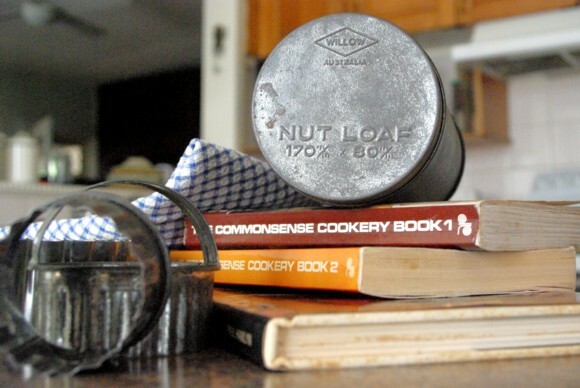 My collection of older generation cookbooks have recipes for loaf cakes. Now I have a loaf tin I'll give one a whirl. Don't forget to use the Twitter hashtag #opshopfound to let us all know of something you've found and left in store for another op-shopper. And, if there's something you'd like us to hunt down and find, use #opshopfind. Love the Frenchy flan tins! Ooh la la indeed. Great find! The loaf tin looks awesome! Can't wait to see what bakery goodness you will make with that. What amazing finds...I love your new treasures especially the nut loaf tin Great hall. Gorgeous finds! I especially love the flan pans and simple biscuit cutters. and I like the covers of the 70s commonsense cookery book. I have an 80's edition, my mum has a 60's and she also has her mums which I assume is from the 40's or 50's. You've reminded me to keep an eye out for a set for my daughter.